Still looking for that perfect gift for the holidays (or a little something for yourself – it's alright, we won't tell!)? If your travel plans include Los Angeles, plan to stay in the gay center of it all at West Hollywood with not one, but two shop-and-stay packages that offer 20 percent off some of the area's high-end retailers. From now through December 30, the ultra-luxe, boho-fabulous Petit Ermitage is offering a Shop Hollywood! package, which includes access to fashion designers and Hollywood stylists, exclusive invitations to private fashion events, and a VIP discount of 20 percent at select local boutiques. And that's not all! You'll also get champagne, breakfast for two, comped WiFi, and free valet (no small potatoes in notoriously parking-strict WeHo), all for a price that leaves plenty of room on your AmEx. We wake up under 618-thread-count sheets in our Turkish-rug covered suite for a leisurely nosh on a “Petit Dejeuner” breakfast, before saying ta-ta to DeKooning and Dali on our way out to the nearby boutiques on Richardson and Melrose. After paying respects to Alberta Ferretti, M. Cohen, Anya Hindmarch, Paige Denim, John Varvatos, Lisa Kline, Ports 1961, and Logan Riese, it's time to return for sunset cocktails and an invite-only fashion event on the private rooftop club. Rates start at $250 per night, with a portion of the proceeds benefiting the Fashion Institute of Design and Merchandise. Depending on the date of stay, guests will have access to private trunk shows, runway shows, intimate dinners with designers, and/or previews of new collections prior to their public debut, as well as private appointments with Hollywood stylists and personal shoppers. If you really want to splurge, get custom-made couture via private one-on-one consultations with designers. The hotel's 24-hour butler service is, well, at your service. To book, call 310-854-1114 or e-mail reservations@petitermitage.com. If you lean more modern than bohemian, The Mondrian is also offering a holiday package with rates as low as $295 per night, including two complimentary cocktails, a $100 hotel credit (Sky Bar or Asia de Cuba – yes, please! ), and free valet parking, plus 20 percent discounts at select retailers like Catherine Malandrino, Just Cavalli, T. Pettersson, Lotta, Vince, Moods of Norway, Diane Von Furstenberg, Arcade Boutique, and Beckley. The offer is valid through January 15, 2012; call 800-606-6090 with code "PKSEAS” to book. A local? 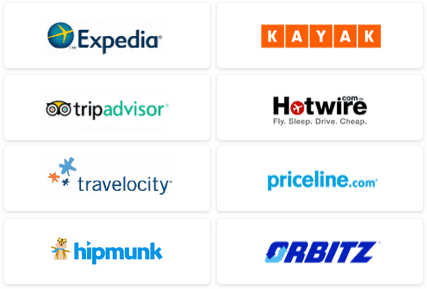 Already have your hotel booked? Drop by the Andaz West Hollywood for its first-ever pop-up boutique, Shop@Andaz by Alpha. Located in the lobby of the hotel, get one-of-a-kind gifts from a well-curated selection of whimsical and practical items by Melrose Avenue's local go-to men's gift shop, Alpha. Open seven days a week, shop hours run from 9am to noon and 3pm to 8pm. 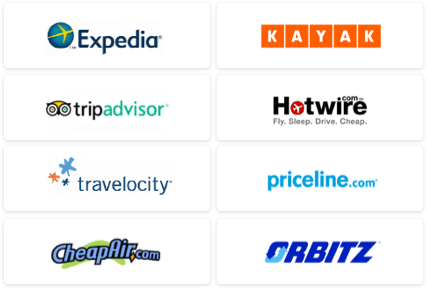 For the best travel deals on airfare and car rentals, use our Travel Search comparison tool. Check out our Los Angeles Travel Guide for general travel info.